If you like sweetsY, you’ve got to eat these. 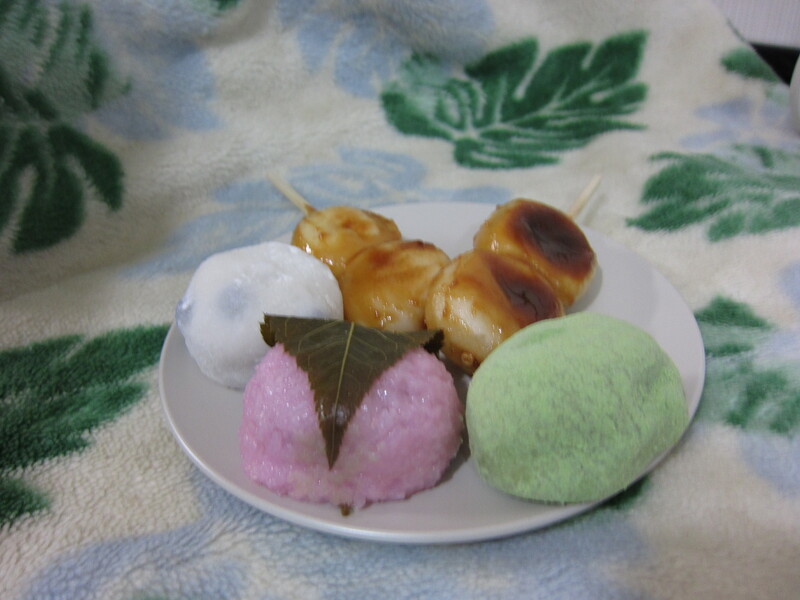 When you come to Kyoto, you really should try these delicious traditional sweets. They are usually made of rice, sweet bean paste, sugar and so on. My favorite ones are called “mitarashi dango” which are soy sauce flavored riced dumpling (the two caramelized dumplings in the back). There are so many sweet stores in Kyoto especially around popular sightseeing spots such as Kiyomizeudera Temple, Ginkakuji Temple and Arashiyama. My advice is to find a sweets store where the staff grills or toasts the sweets at the store front. Fancy stores don’t do this, but the hot & fresh ones are something worth trying even if you are not a big fan of sweets. It is hot, so be careful. But you should eat it right away. If you want to get some sweets for a souvenir, then fancy sweets might be better, because they tend to be wrapped in beautiful paper. In this case, you might want to check the expiration date on the box. If the staff doesn’t speak English, show a calender on your cell phone and say “itsu ma de?” itsu sounds like its, ma sounds like ma from mum and de sounds like de from desk. “itsu ma de”. Good luck. You can find much more useful and complete information in my Kyoto Guidebook which is now available on Amazon sites including my favorite sweets shops. Click here to buy the Kyoto Guidebook (ebook) on Amazon.com (You can find the Kyoto Guidebook on your local Amazon site).